The problem article explains the LABEL MATRIX problem of long delays experienced when try to start the application. There are a number of problems which may cause LABEL MATRIX to load slowly. One misconception is that the splash screen is part of the loading of the software. This is not true, the splash screen does appear to show that the software is loading, but a user can click on this splash screen to open the software immediately instead of waiting. Slow network connections to shared data folders – Within Tools > Setup you will notice the Directories tab. If the directories include network folders, you can either change those locations to local drives or ask your network administrator to improve the connection speed to those shares. Antivirus – Try disabling your antivirus if you find your software is launching slowly. If you do find that the antivirus is somehow interfering with the launch of the software, be sure to include LABEL MATRIX and its executable in the Exceptions list of that antivirus application. 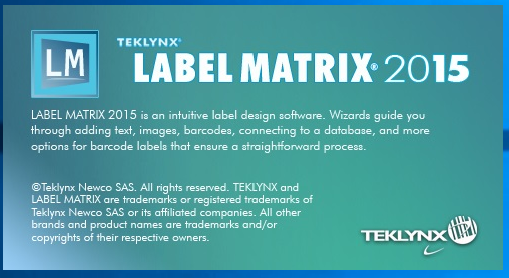 Slow database connections – If you are launching LABEL MATRIX by double-clicking directly on a label file, you may encounter an issue where the database connection is taking a long time to load. You can alleviate this by opening LABEL MATRIX directly from the Start menu then opening that label file, or you can contact your network administrator to troubleshoot the connection speed of your database connection. Printer Quantity – When the LABEL MATRIX software launches, it attempts to load any currently installed printers. This includes both TEKLYNX native drivers as well as any other general Windows drivers. Large numbers of printers will entail a longer load time, and thus increase the overall loading time of the application.